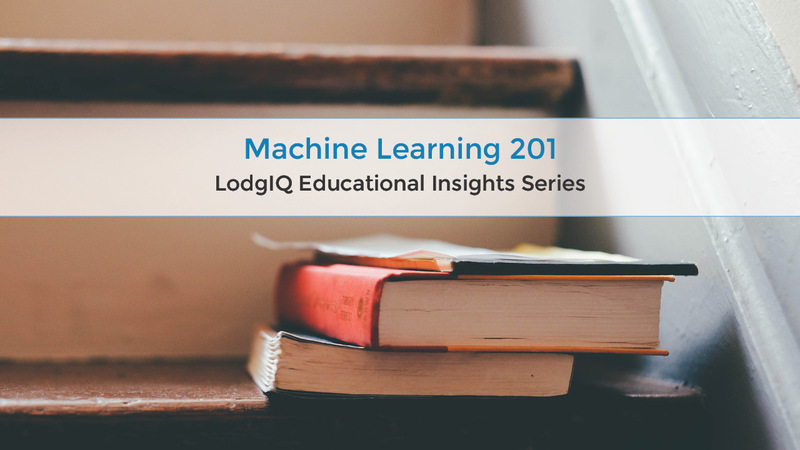 In Machine Learning 201 we explore the role of data patterns in modern revenue management strategies. Here’s Machine Learning 101, in case you missed it. Patterns rule the world, but understanding them, and using them to our advantage was previously complicated, if not outright impossible. But modern revenue management trends are proving that all is revealed in patterns, which is helping hoteliers find new ways to generate more hotel revenue. At its core, patterns are universal, as odd as that may seem. Take the Fibonacci sequence, for example. It’s a core equation revealing a similar pattern in hurricanes, the way plants grow, to the way people and animals reproduce in numbers, and much more. And if you look at the mathematical constant Pi, even its seemingly random string of endless numbers is chockablock full of patterns. Essentially, patterns are everywhere, but many times hidden from observable life. Emerging revenue management trends seek to make visible what was previously hidden. And it’s doing this through machine learning techniques that crunch through the endless stream of data (what’s commonly called Big Data) that’s continuously generated to find those patterns. Most raw data, especially Big Data, is not suitable for human consumption. There’s too much of it, and our brains are not built to detect, much less analyze, the patterns that are waiting to be discovered within. Machine learning evaluates, weighs, and determines the validity and relevance of myriad data points, such as integrating up-to-date market data (including supply and demand), room pricing of direct (hotels) and indirect competition (including peer-to-peer lodging sites such as Airbnb, and other alternative accommodation options available within the destination), review scores on hotel review sites, among many other variables. Then with a product such as LodgIQ ONE, puts it all together in a format creating actionable insight by turning noise into knowledge. For example, machine learning can determine there are 40 small events in a city on a specific day, something no revenue manager has time to uncover on his or her own. Individually, each event has no real effect on hotel demand. But, together, those events in aggregate move the demand needle. This is a strategic insight for revenue managers because it reveals all those people that are more likely to pay a higher price for a room because they must be in that city on those specific days. So, when you think of strategies to improve hotel sales, consider those patterns and the influence they have over your pricing strategy. In today’s market, overlooked data insights are missed revenue opportunities. In our next article, we’ll discuss machine learning regarding analytics and how to leverage for your hotel’s advantage. Questions? Comments? We’re always up for a discussion about helping hoteliers generate more revenue. Let’s talk.